Take a look at our ten favourite slow-cook recipes, from a richly spiced dahl to beer-braised beef shin. 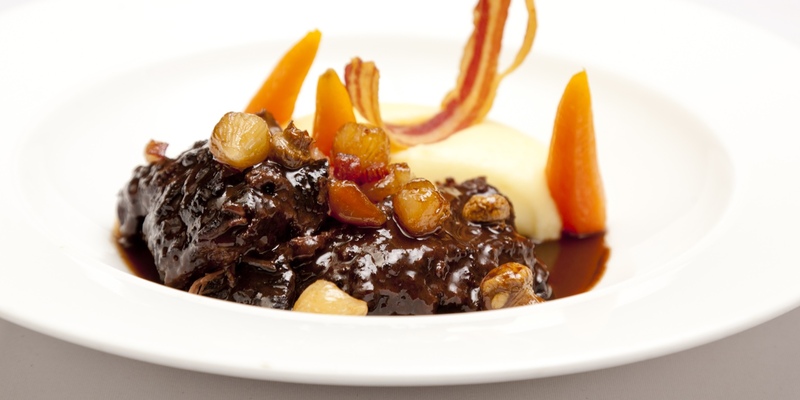 The dark, gloomy days of a British winter make the allure of a slow-cooked meal irresistible. In fact, many of us cannot wait for the weather to turn so that we can start cooking up some hearty, rib-sticking dishes to comfort us in the gloom. The beauty of slow-cooking is manifold – the joy of leaving a pot in the oven for a few hours to be presented with a flavourful, unctuous meal and the almost magical effect that braising has on thrifty-yet-delicious cuts of meat are among many reasons to expand your slow-cooking repertoire. Take a look at our favourite slow-cook recipes to inspire you this winter. 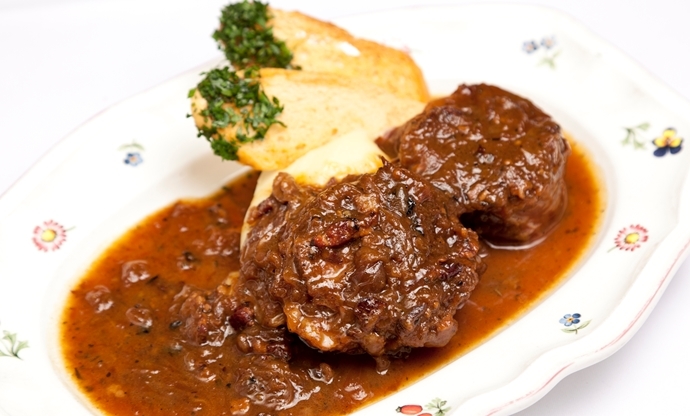 Beef shin is one of those cuts that needs a long, slow braise before it becomes tender, unctuous and full of flavour. Pascal takes an entire shin, cooks it down in a beautiful braising sauce and some Camargue black rice on the side. 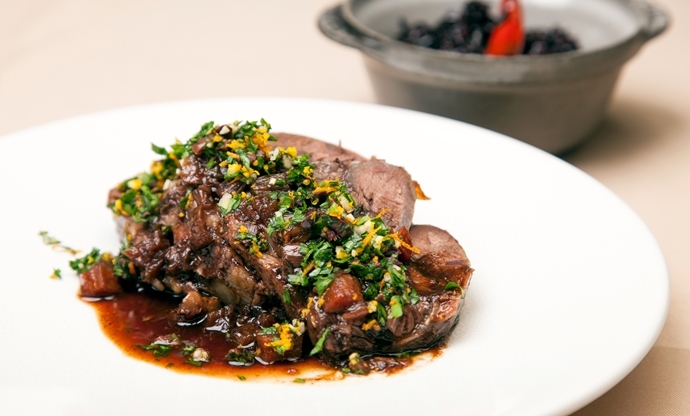 The rich, heavy braising sauce is offset by the vibrant, zesty gremolata on top, which is sprinkled over the beef just before serving for a welcome hit of freshness. 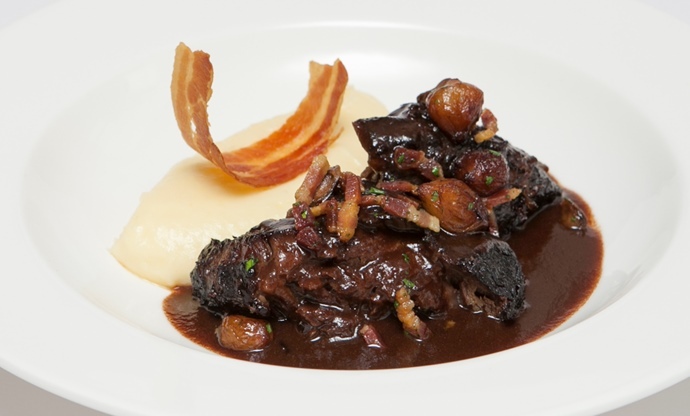 This dish by French master Pierre Koffmann is a master-class in full-flavoured French rustic cooking, offering oodles of flavour from slowly cooking deeply flavourful beef cheeks in red wine. Thankfully, people are opening up to the joys of cheek in recent years, and this cut is best served after a long, slow cook. From France to Belgium, this recipe slow-cooks beef shin in beer – a cut that is perfect for slow cooking due to its long, well-worked muscle fibres. Cooking the beef shin in beer adds a depth of flavour that is unparalleled, and the cooking style results in meltingly tender meat. 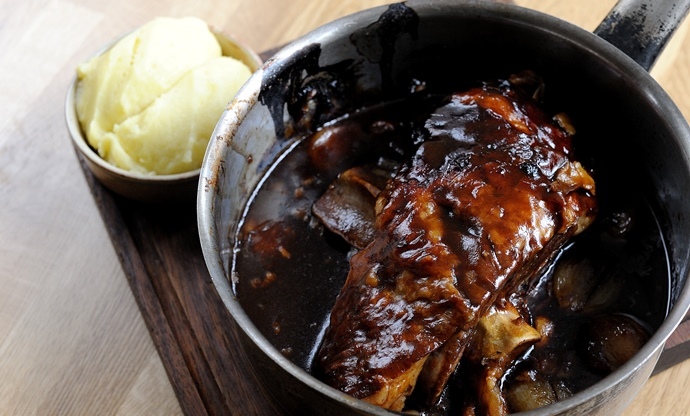 This dish presents what may well be the perfect carnivorous Sunday lunch option - a mouth-watering level of unctuousness from eight hours of slow cooking, with a thick balsamic glaze and sweet onions to cut through the richness of the lamb – a dish to savour. 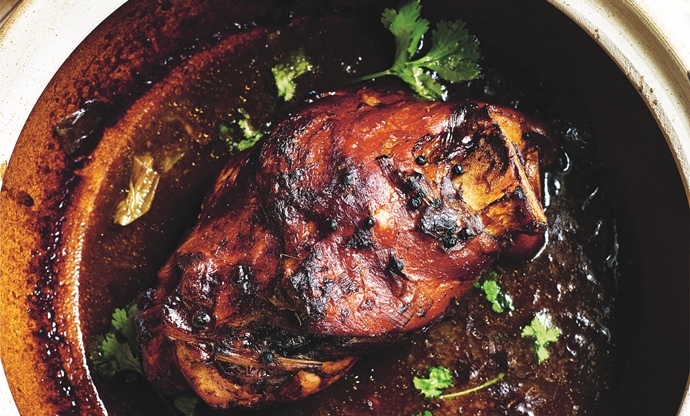 The Chinese probably love pork more than any other nation, and this slow-cooked ham hock recipe is testament to that. It’s incredibly simple to make – sear the ham hock in the yellow bean sauce then top up with chicken stock and allow to gently bubble away until the sticky meat is falling off the bone. The perfect recipe to serve as part of a grand Chinese banquet, it means everyone can get stuck in, pulling off pieces of ham from the bone as they go. 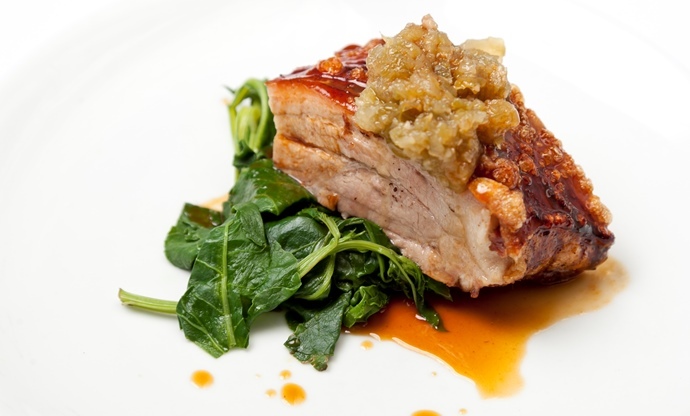 Anna Hansen's dish is a demonstration of how taking your time with meat often produces best results, both in the roasting of the pork belly itself, and in the slow brining carried out beforehand, ensuring moist meat that won't lose all of its juices during roasting. It adds flavour too – seasoning the meat with salt, star anise, fennel seed and paprika. Lean venison needs to be either cooked very quickly or very slowly. The Galvin brothers opt for the latter cooking method, taking a huge piece of shoulder and gently braising it in a classic French sauce. 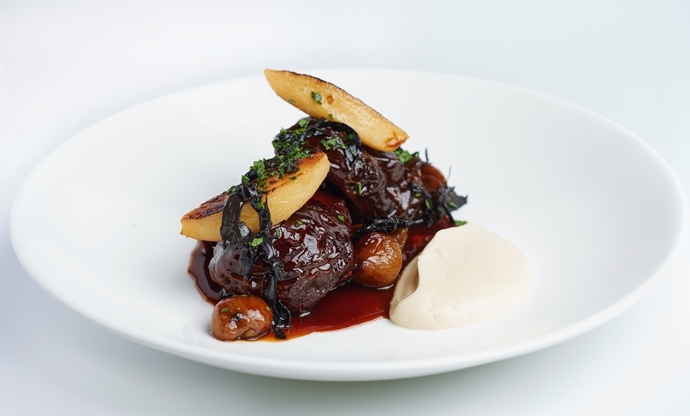 Accompaniments come in the form of sweet quince, a celeriac purée and roast chestnuts, making this a quintessentially seasonal dish for when it’s cold outside. If you usually feel a tad queasy when it comes to offal, lamb heart is the perfect introduction – provided it’s cooked properly. 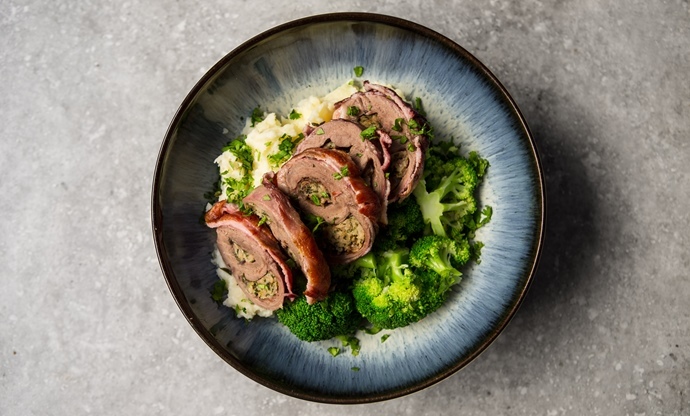 It tastes just like lamb but with a slightly stronger flavour, and when slow-cooked it has a wonderfully tender texture that’s just begging for a good sauce. This recipe sees the hearts stuffed with sausage meat, breadcrumbs, herbs and bacon, which adds more familiar flavours to the mix. 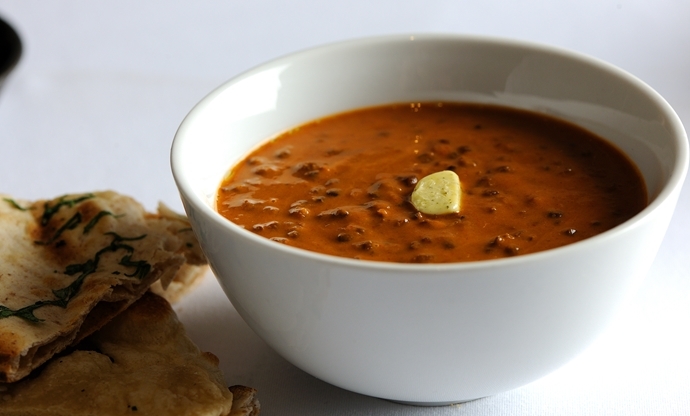 Dal makhani is a fantastic winter warmer, gently spiced with kasoori methi (dried fenugreek leaves) and using earthy black lentils to add a beautiful depth and richness. A bowl of this dal is hard to beat to warm the cockles. A dish that is definitely for pork lovers, this Brazilian stew contains practically everything but the oink. 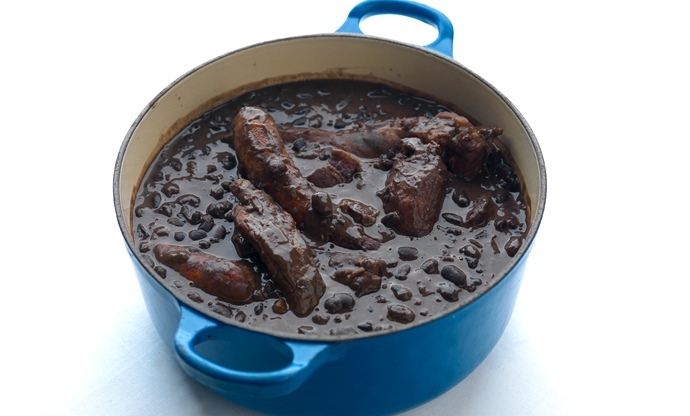 The tongue, trotters, ribs and bacon – with two types of sausage thrown in for good measure – are cooked long and slow with black beans, garlic and cumin for a heady, hearty dish.